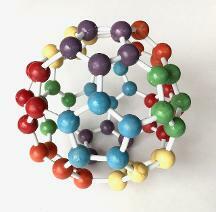 Solve this Challenging 20 piece puzzle by forming a 4-sided pyramid, a tetragon. 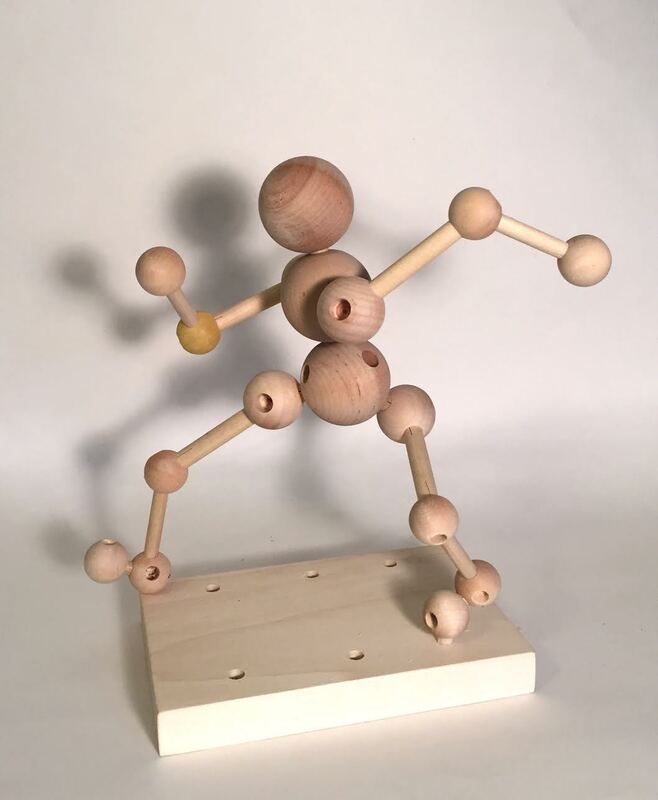 The natural finish woodgrain version of TETRA is easy to manipulate into different sculptural forms but difficult to form into a Tetragon. 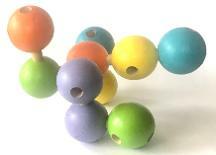 It comes as 20 attached balls in a single plane. 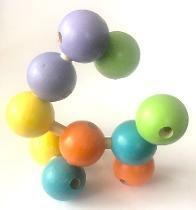 You solve it by turning balls and/or folding balls until the 3 dimensional tetragon shape is formed. 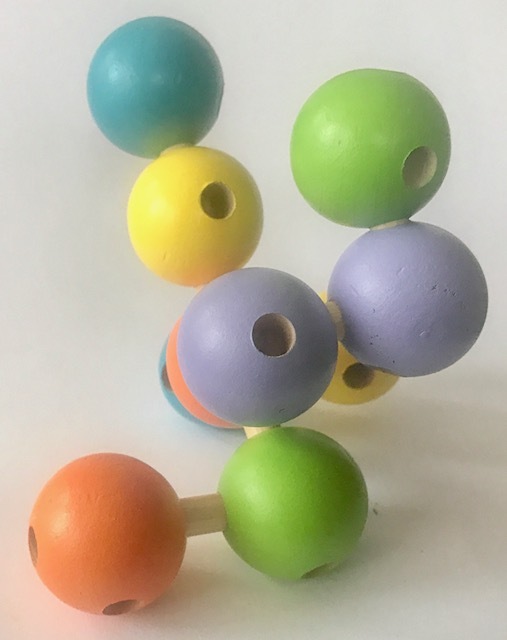 Difficult enough as that is, the balls can be detached from each other and then attempt to reform the tetra by re-attaching. 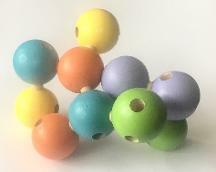 This last way of solving is extremely difficult and may not be successful unless the balls are attached in just the right sequence. 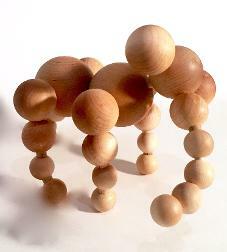 Probably the most difficult 3-D puzzle anywhere. 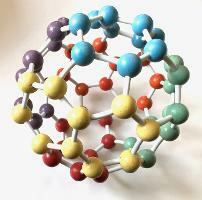 150 piece brainteaser 3-D puzzle which has multiple solutions. 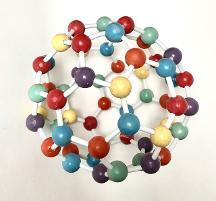 The puzzle is a model of the Carbon-60 molecule, consisting of pentagons and hexagons. 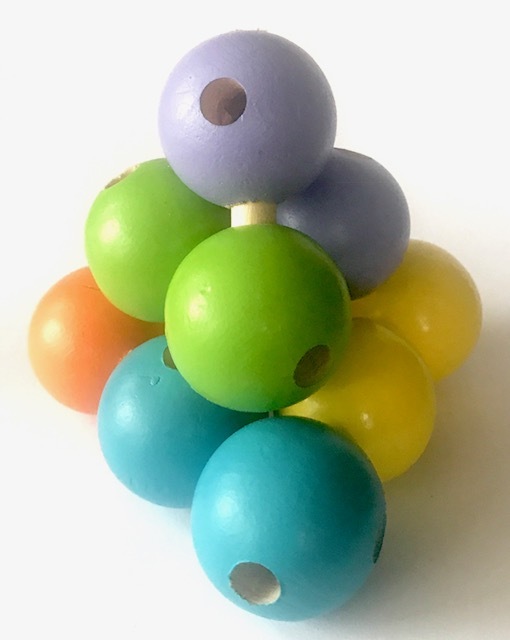 Build the puzzle by assembling the pieces using any color combination, or with the 12 pentagons of a solid color, 12 hexagons of a solid color, or in a graduated color progression. 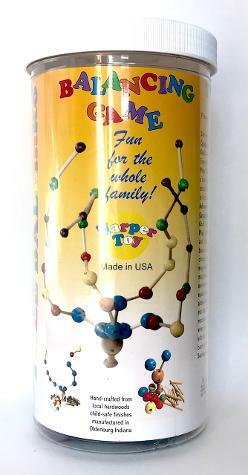 A family game, easy to play --another new toy for 5 years and up. 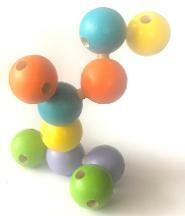 The goal is to use all 36 balls and have the "tree" remain standing. 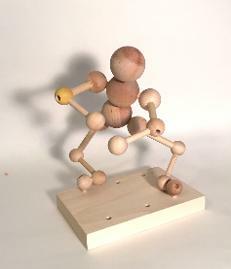 As players add balls ("limbs and leaves") a loss of balance will topple the tree. 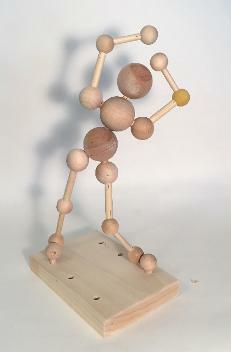 The game plays until all are added and the tree is balanced. 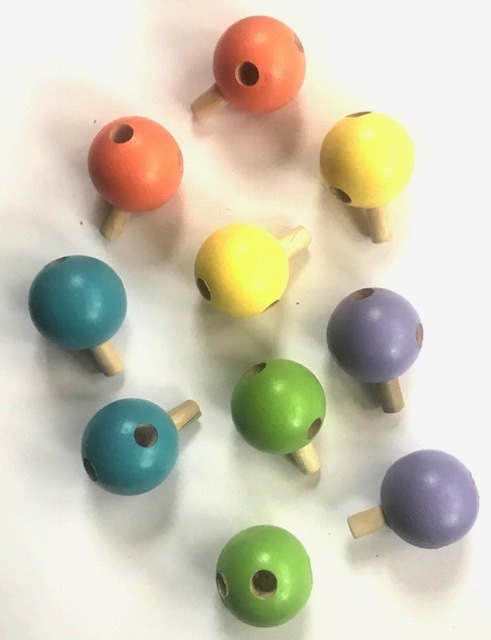 This game, made in USA, can be played cooperatively--where everyone wins when the tree is balanced; or it can be a competitive challenge where the top score wins. 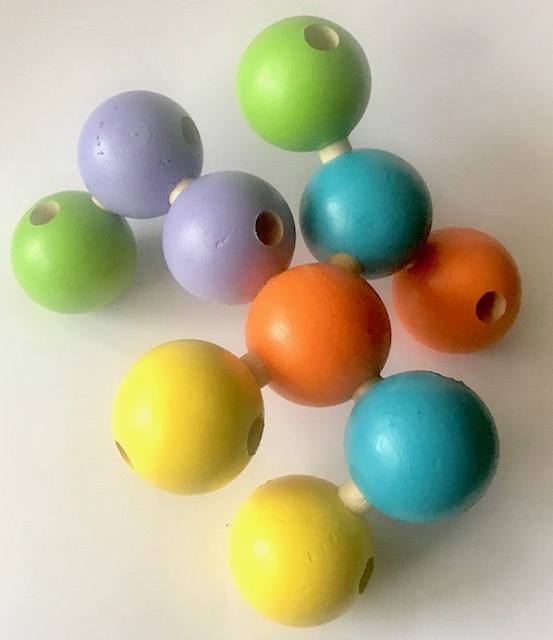 (each colored ball has a value). Either way, it's fun to play. 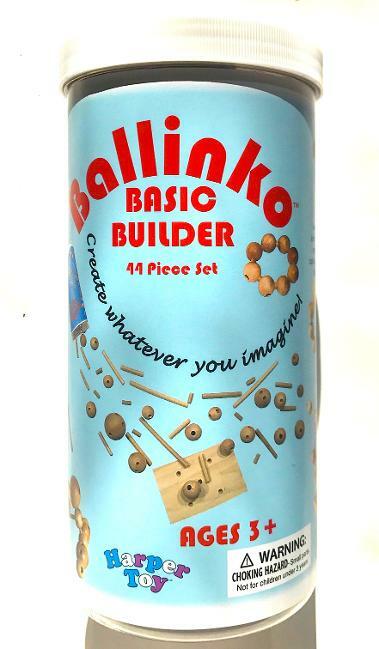 Ballinko Basic Builder 44 pc. 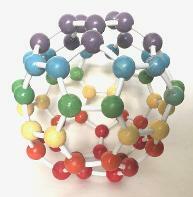 set, a toy enjoyed by children as young as 3 years (Adults have fun with it too!) 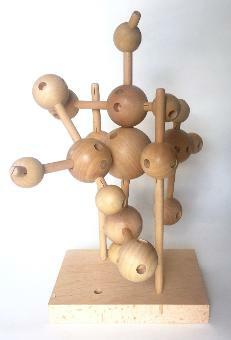 encourages the creation of biological as well as architectural forms, which it's unique spherical wood balls make possible. The "rider" pictured left (above on mobile devices) actually rolls and can be steered...the "Wheel" structure to the right (or below) can be turned--with all its parts moving as a ferris-wheel does. 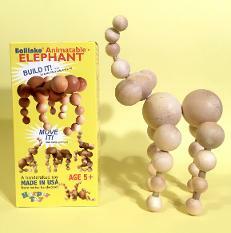 Both designs may be constructed with instructions that come with this building set. 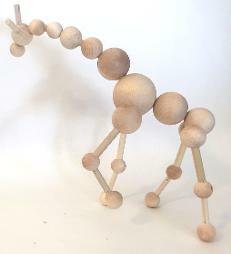 The Animatables line consists of Action Figure, Elephant, Giraffe & Horse-- all unique wooden building toys with figures that can assume many different poses. 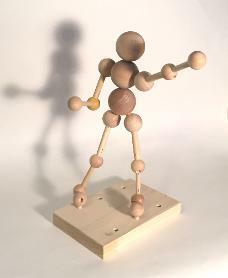 Wooden toys made in the USA from native hardwoods, Once assembled with the enclosed easy-to-follow directions, figures can be moved into an incredible number of poses. 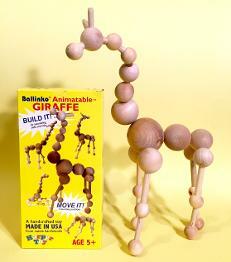 Parts are also compatible with and may be combined with each other and with our Basic Builder set. 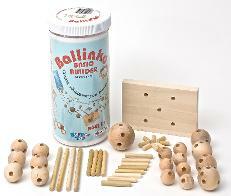 Great toys for 5-9 year olds. 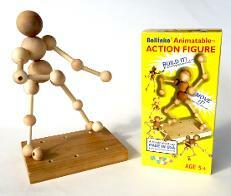 Action Figure--easy to assemble--then move to different positions by turning or re-positioning balls. 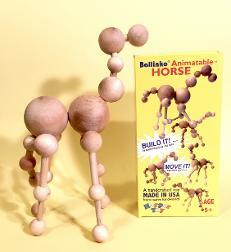 Award-winning* Animatables-- Build the figure, then move it into a unlimited number of possible poses. 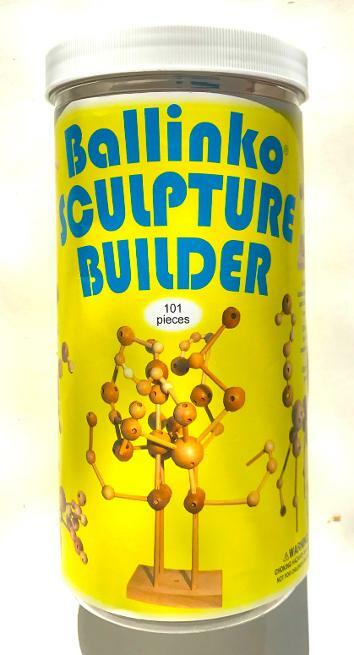 Ballinko Basic Builder has the same construction and building features of the original Ballinko Sculpture Set, nurturing the creative expression in our children by allowing their imagination free reign. 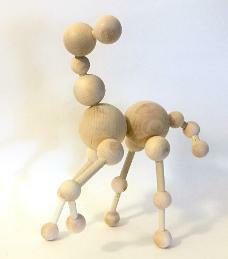 This all wood 44 piece set is now in production. 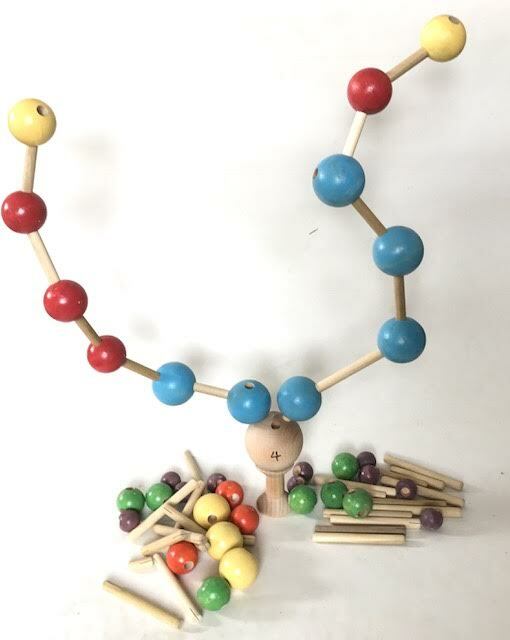 Among the best wooden toys for 3-9 year olds to express their innate creativity and to help develop hand-eye coordination, dexterity and planning skills. 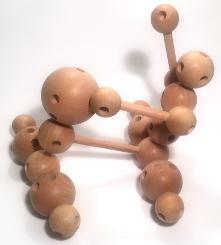 • Wood balls & links are assembled to create forms. • Screw top container for convenient storing.